With the great success of deep learning, the demand for deploying deep neural networks to mobile devices is growing rapidly. Similar to what we do in desktop platforms, utilizing GPU in mobile devices can benefit both inference speed and energy efficiency. However, most existing deep learning frameworks do not support mobile GPU very well. The difficulty lies at the difference between mobile GPU architecture and desktop GPU architecture. It means special effort is required for optimizing on mobile GPU. The non-trivial extra work eventually results in the poor support of mobile GPU in most deep learning frameworks. TVM addresses the difficulty of deploying for different hardwares by introducing an unified IR stack, with which the optimization for different hardwares can be done easily. In this post, we show how we use TVM/NNVM to generate efficient kernels for ARM Mali GPU and do end-to-end compilation. In our test on Mali-T860 MP4, compared with Arm Compute Library, our method is 1.4x faster on VGG-16 and 2.2x faster on MobileNet. Both graph-level and operator-level optimization contribute to this speed up. We will use Firefly-RK3399 with Mali-T860 MP4 as our test environment, so we mainly focus on Mali T8xx below. Figure 1 is an overview of the Mali Architecture on T860 and T880. The GPUs are scalable up to 16 coherent shader cores. Inside each shader core, there are 2 or 3 arithmetic pipelines, 1 load/store pipeline and 1 texture pipeline (so-called TriPipe). The ALU in each arithmetic pipeline has four 128-bit vector units and one scalar units. Here are some differences that we should concern when writing OpenCL code for Mali GPUs, compared with writing for NVIDIA’s GPUs. Mali GPUs use an unified global memory. In NVIDIA’s GPUs, we usually copy data to shared memory, because NVIDIA’s GPUs have physically separate global memory, shared memory and register. In Mali, this copy does not improve performance and can be removed. Besides, Mali GPUs usually share the global memory with CPU, so there is no need for copying between CPU and GPU. Mali Midgrad GPUs are based on SIMD (Single Instruction Multiple Data) and need explicit vectorization. In NVIDIA CUDA, parallelism is achieved by SIMT (Single Instruction Multiple Thread), which does not require explicit vectorization. But also notice that the newer Mali Bitfrost GPUs are based on quad-style vectorization and does not require explicit vectorization. All threads in Mali GPUs have individual program counters. It means the warp size is 1, so that branch divergence is not a major problem. The convolution layer is the core of most deep neural networks and takes most of the computation time. So we take the convolution layer as example to demonstrate how common optimization techniques like packing, tiling, unrolling and vectorization are applied in TVM. A well-known algorithm for convolution layer is im2col, which converts the little 3D input cubes to columns of a matrix and perform a GEMM. The advantage of this method is easy utilization of highly optimized BLAS library. However, the memory redundancy (9x memory for 3x3 kernel) is awful. Instead, we adopt a method to calculate the convolution, and apply the optimization techniques step by step. A convolution layer in VGG-16 is used as tuning case, whose configuration is listed below. We assume the batch size is 1 for inference. As a baseline, we also list the performance of this layer in Arm Compute Library. Tiling and packing are two methods intended for better memory access. Tiling separates the whole computation into small blocks for better datareuse. Packing re-layouts the input matrices according to the tiling so that we can access the memory sequentially, which reduces cache miss rate. We do tiling on the width dimension of the input image and CO dimension of the filter matrix. This is described by tvm.compute. I pick the convolution part here. In TVM, we declare the computation at first and then schedule it. This mechanism decouples the algorithm and implementation detail. (This idea is from Halide). The following schedule simply binds axes to GPU threads, so that our code can run on Mali GPU.
""" tile and bind 3d """
With this schedule, our code can run now, but the performance is terrible. """!! ADD UNROLL HERE !!""" As mentioned before, we need to do vectorization explictly in order to achieve the best performance on Mali GPU. As for the tunable parameters above, some can be calculated. For the vectorized dimension VC, we should fill the 128-bit register, so it can be set as 128/32=4 for float32 and 128/16=8 for float16. But more often we cannot determine the optimal value, due to the complicated runtime. We use grid search in TVM. It can be done extremely effective since we write python code in TVM’s high-level IR rather than direct OpenCL code. The OpenCL code is too long to be pasted here, and it is hard to read due to heavy unrolling. If interested, you can view it here. We use NNVM and TVM to do end-to-end compilation. As shown in Figure 2, we test the inference speed on ImageNet. On Firefly-RK3399, Mali GPU can be 2x ~ 4x faster than 6-core big.LITTLE CPU. Our end-to-end pipeline is 1.4x ~ 2.2x faster than Arm Compute Library. We try both GEMM and direct method of convolution layer in Arm Compute Library, GEMM method is always faster than direct method in these test cases, so we only plot the result of GEMM method. Some results, like resnet18 on Arm Compute Library, are missing in the Figure 2. It is because the graph runtime of Arm Compute Library does not support skip connection currently and has a poor neon implementation of depthwise convolution. This also reflects the advantage of NNVM software stack. Precision in deep neural networks is not very important, especially for the inference on mobile devices. Using low-precision arithmetic can make the inference much faster. We also test the half-precision floating number on Mali GPU. In theory, FP16 can both double peak compute and halve memory consumption, so that doubling the speed. But it needs good input shape for longer vectorization and fine-tuning some parameters. We should admit that there is still some room for improvement, mainly at the graph level, such as model compression and weight prelayout. Further improvement in NNVM will try to solve these problems. Lianmin Zheng is an undergraduate student at SJTU Apex lab. 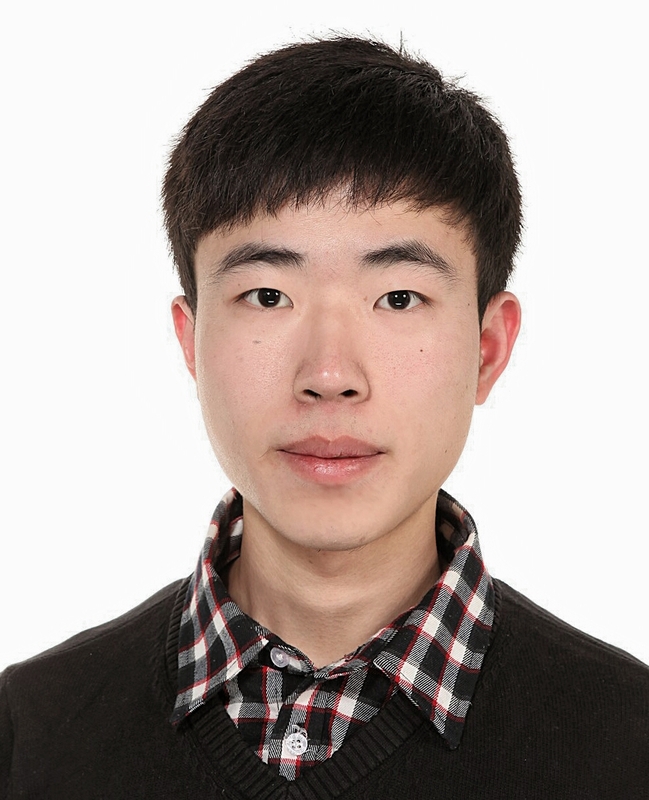 He is interested in machine learning and building computer system. The author has many thanks to Tianqi Chen for his helpful advice and Yizhi Liu for his earlier work.